I love spring when lovely green veggies are finally showing up in the market as a nice alternative to winter’s root vegetables. 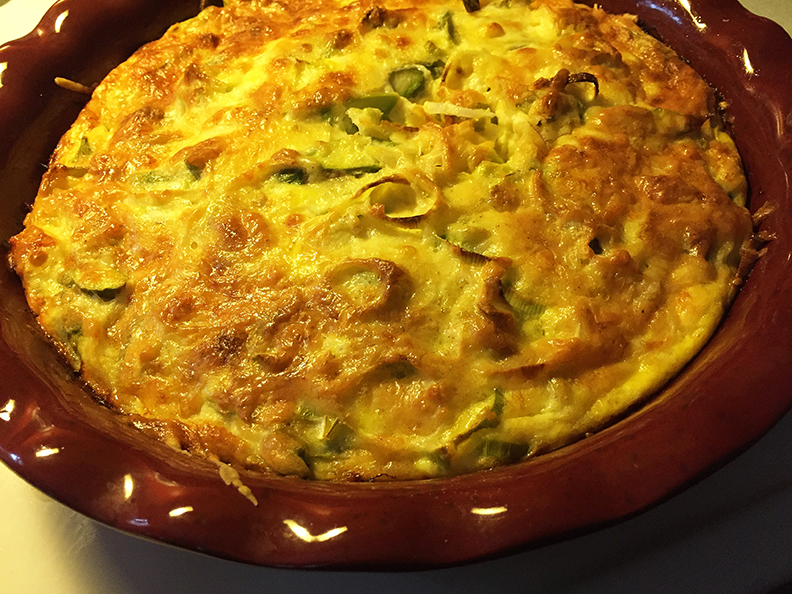 Springtime is the perfect time for preparing a quiche (or fritatta) and since I am not a fan of pie crust, I have made a crustless asparagus-leek quiche. You can certainly add a crust if you prefer. This quiche would also be delicious with the addition of mushrooms. Leeks need to be washed carefully to remove any grit trapped in their layers. Trim off the roots and the coarse dark green part of the tops. Cut the leeks in half lengthways. Wash under a running tap, fanning the layers and rinsing away any grit or soil trapped between them. Cut into thin slices. Holding a spear of asparagus with an end in each hand, bend downward at each end. The asparagus will bend in the middle before it snaps under the pressure. Snap off the woody ends of each asparagus stalk and discard. Rinse the stalks and dry them. Cut stalks at an angle every 1/4 inch, so you get ovals. 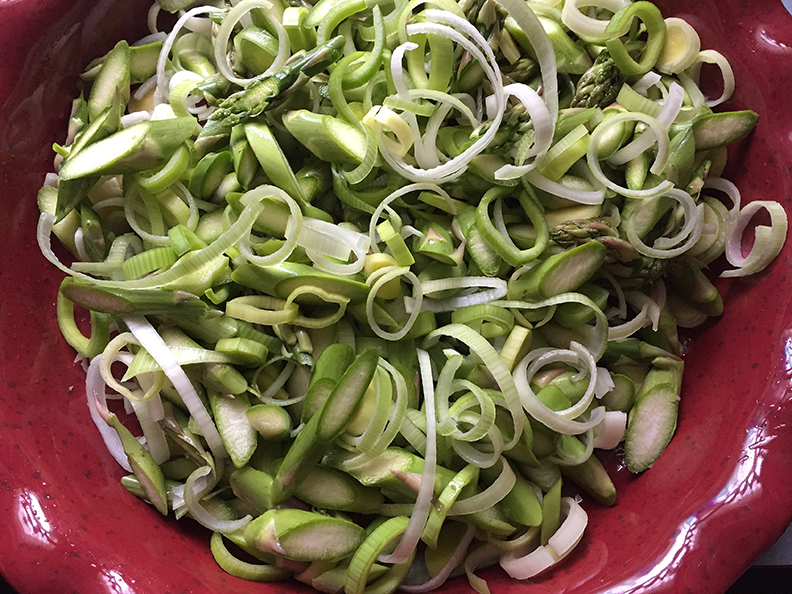 Place leeks and asparagus into a greased pie dish. 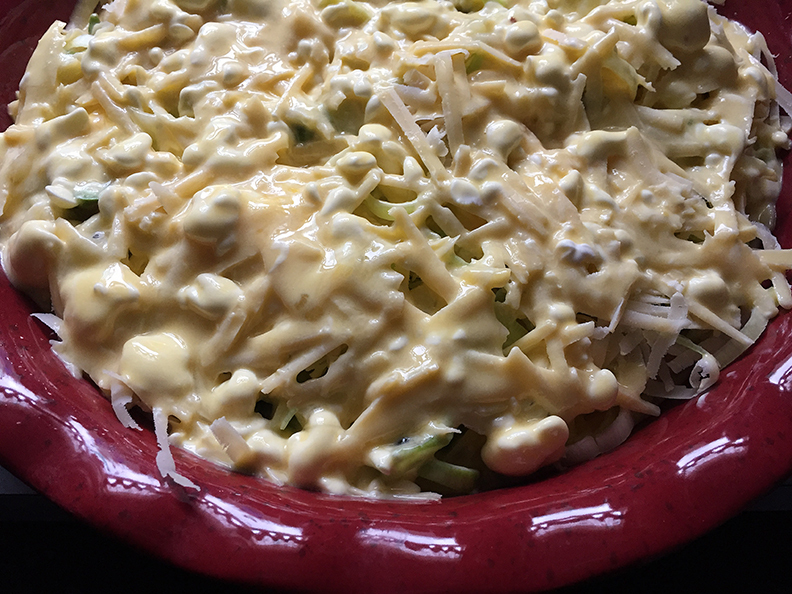 Toss with half the grated Parmesan cheese. Sprinkle remaining Parmesan over the top. Whisk the eggs, crème fraîche, sea salt and garlic until blended. Pour over the vegetables. Dust the top with freshly grated nutmeg. Bake 45 minutes until custard is set and top is nicely browned. 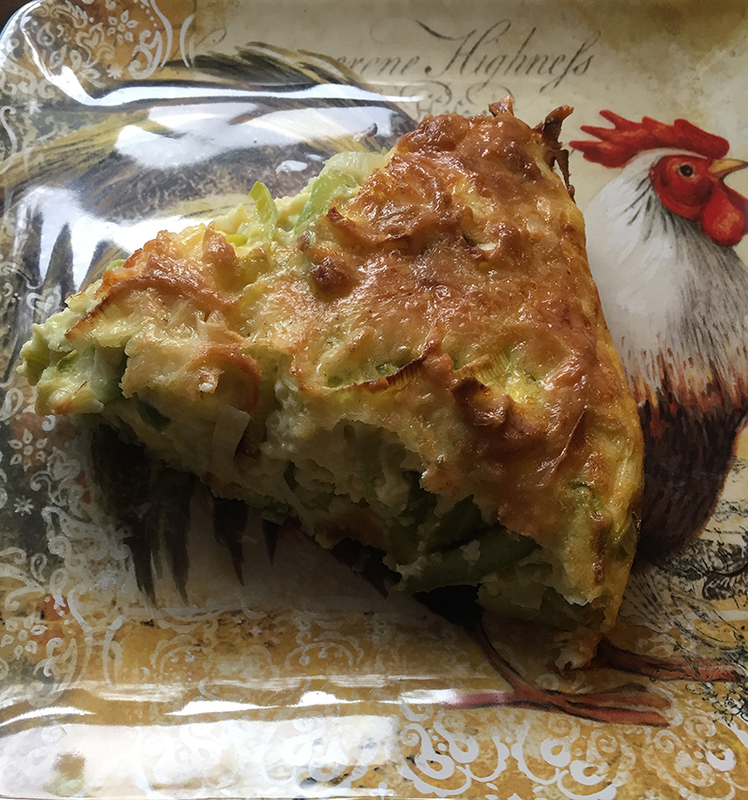 If it jiggles or appears loose, continue baking the quiche another 5-10 minutes. If it stays still and appears to be completely set, the quiche is done and you can remove it from the oven. Let set a few minutes before serving. This quiche would be delicious served with a side of pickled beets, potato salad (or a baked potato), fresh fruit or some lovely crusty bread and butter.